In the United States, it has been a long-held practice to attribute generational monikers to individuals based on the year of their birth. If we look at that breakdown, it makes sense to see that the number of physicians is relative to the population of the generational mix. For example, in the U.S., 76 million people were born between 1946 and 1964, these baby boomers also represent the largest numbers of practicing physicians. Studies show that over 40% of the nation’s physicians are over age 56. The second largest generational mix are the millennials, with 62 million born between 1981 and 1996. 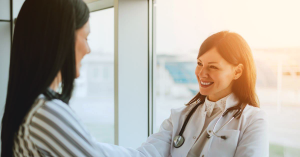 As the Boomer generation ages and retires, the Millennials are increasingly representing a greater proportion of physicians in the U.S., and there is a good reason why that matters with regard to recruitment. Let’s look at how recruiting millennial physicians is different than past generations. Unlike other generations, millennials grew up in the technology boom. Doctors born in the millennial era are going to be more reliant on and more accessible through technology than their Gen-x or Baby Boomer counterparts. 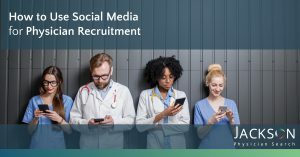 Because they are so connected through their smartphones, laptops, and other tech gadgetry, your utilization of a smart digital recruitment strategy will keep you ahead of the curve. Of course, millennials worked hard in school and want to be fairly compensated for the work they are doing, but recruiting them will not be solely based on a dollar amount in their paycheck. While they are sometimes inaccurately maligned by older generations as not being committed, or lacking drive, the truth is the opposite. According to Deloitte’s 2018 Millennial Survey, over 50% of the respondents placed greater or as great a value on quality of life issues over the highest salary. Millennials are looking for more flexible schedules, guaranteed time off, and less time on call. To recruit the millennial generation, work/life balance should play a prominent role in any job offers. 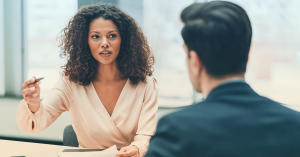 Much like millennials seeking greater work/life balance over annual salary, they also have strong opinions about how important it is for them to feel connected to the culture and values of their workplace. Millennials were raised in the era of participation trophies where teamwork and affirmation were valued above individual success. They are looking for the same in their work environment. 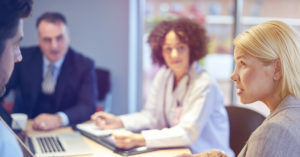 Millennial physicians are comfortable with the trend toward team-based care and are drawn to organizations that are aligned with their own personal values. 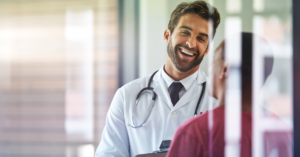 Because culture and fit are such vital factors in the millennial physician’s job search, it is no surprise that it plays a significant role in physician retention. Older generations of physicians are prone to stay in a job for a decade or more, with little to no thought of leaving. The millennial generation of physicians will seek out new opportunities after only two or three years. To combat this tendency, healthcare organizations are more focused on finding a physician that first fits their culture, and then they develop a strategic plan to retain them. 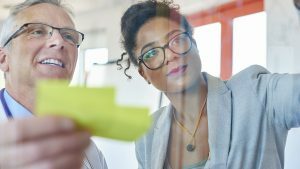 Successful retention strategies include affording them time to pursue research projects, or branch out into additional specialties, and pursue charitable endeavors. They key is keeping your physicians excited and engaged and not giving them a reason to look for greener pastures. 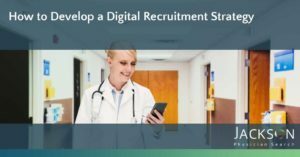 If your organization needs to develop a digital recruitment and retention strategy, contact the industry experts at Jackson Physician Search today. Our Regional Vice President of Recruiting, Christen Wrensen, presented the Digital Recruitment Strategy Guide to members of the Texas Hospital Association at their 2019 annual conference. Physician salaries continue to rise, although more modestly than in years past. You may find that hard to believe considering the 24-7 handwringing over the physician shortage, but have no doubt that physician compensation is still rising and becoming more complex. After all, it is simple economics, as demand rises and supply stays the same or fails to rise commensurately, the cost (in this case salary) is going to rise. For example, according to Medscape’s Physician Compensation Report 2018 average salaries for Primary Care and Specialties rose between 3 and 5% from 2017. Hospitals and health systems are finding other ways to compensate physicians than base salary. Many bonuses and benefits are not available everywhere but are often based on setting and geographic area. Let’s try and make sense of some of the more popular physician bonuses and benefits. This is one piece of your compensation package that is helpful to have your lawyer examine. Depending on your contract, this may be a 100% guarantee that you will earn X annually, or there may be a lower annual guarantee that includes incentive triggers that when met will increase your overall compensation. When incentives are involved, you will want to understand RVU’s and how they are tied to your salary. The competition for physicians across the spectrum of care has led to an increase in the prevalence and amount of sign-on bonuses. Depending on geographic location, physicians may be seeing signing bonuses up to $40,000. On the flip side of that, some regions are only offering bonuses up to $7,000. Where you are willing to work can be financially beneficial. An increasingly popular bonus being offered to new physicians is student loan forgiveness in return for a commitment to a contractual length of stay in the position. Once, a mainstay of rural and community health recruiting, the fierce competition for physician’s services have made student loan forgiveness a major attraction in the recruitment process. Insurance to protect physicians against malpractice claims is the most frequently provided benefit. This is another benefit that you should have your lawyer review to ensure that you understand coverage limits, statutes of limitations upon your leaving the position, and other details. Another popular benefit to consider is the relocation benefit. Relocation stipends can generally be negotiated depending on the geographic area and individual circumstances. In these cases, it is important to fully understand what the requirements are to earn the stipend and how it will be paid out. Because of the rising costs associated with physician vacancies and recruitment, retention bonuses are becoming a popular addition to the physician compensation package. This bonus can be paid incrementally throughout the length of the employment contract or in some cases upon completion of the contract. Other bonuses and stipends can be available but are less common. In some geographic locations, physicians may be offered with a vehicle stipend, housing allowance, parking stipends, and more depending on specific challenges that one might find in a certain area. 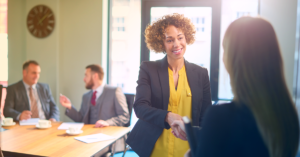 These aren’t as common as some other incentives you can find, but if you are working with a good recruiter, they can alert you to many of the available perks. To learn more about physician compensation or to work with a career partner who can assist you in finding the right opportunity to match your skills and career goals, contact Jackson Physician Search today. Is Your Physician Career on FIRE? Not in the literal sense, but many physicians today are working to ensure that their career is on FIRE. FIRE as in Financial Independence, Retire Early! The acronym stands for something that many of us want to achieve, but so few are able. Physicians are in a high demand, high salary field and have that opportunity if their sights are set in that direction. Let’s take a look at things to consider while getting your career on track for FIRE. For starters, to learn more directly about other physicians who are working toward FIRE, consider joining almost 10,000 of your fellow MD’s and DO’s who have joined the Physicians on FIRE Facebook page here. Sure, salary is a large component of your ability to gain enough financial control for FIRE, but it is equally about how much you spend. It’s never too late to make the necessary changes in your career or in your personal life to regain that control. If you’ve become complacent where you are at, you may be missing out on other opportunities that will improve your earnings power. Still saddled with student loan debt? You are not alone. More than 60% of medical students graduate with over $150,000 in debt. It’s time to find an employer who is willing to help out with that. What about credit card debt? Make a plan to consolidate it and get out from under it. Purposeful spending doesn’t mean you have to give up your lifestyle. It does mean, you have to decide on what is most important and what can be put aside until later. The beauty of setting yourself up for early retirement and financial independence is that you are creating your own terms. If you truly want to create financial independence for yourself and family, then working toward that goal is merely “setting the table” for you to make a decision when the time is right. According to a 2016 survey, 47% of physicians indicated that they planned to retire earlier than expected. There is a very good chance that when the time comes, and you are financially independent, you will begin thinking about other things that feed your sense of fulfillment. When you have reached FI, no one is going to force you out of practicing medicine, in fact with the continuing doctor shortage, just the opposite will occur, but you will be in the position to practice just how you like. Being a practicing physician has been your focus for the majority of your life. Naturally, it can be disconcerting to think about what comes after you stop seeing patients. Truthfully, that is more of a personal retirement question, than a FIRE scenario. The end goal of FIRE is for you to be free to do what you are really passionate about. If you still want to practice medicine, you’ll be free to do it on your own terms. You might want to transition into teaching or research, and FIRE will allow you to do so without worrying about how that will affect your lifestyle. Making a commitment to financial independence is within your control. The idea is to reach that point of independence before you begin thinking about life after the practice. Maybe your work and life experiences have created the itch to pen the next great American novel, or you can’t stop thinking about spending all of your time between the beach and the golf course. Whatever it is, you have earned it. By making financial decisions now, your FIRE can be stoked when the right time arrives. 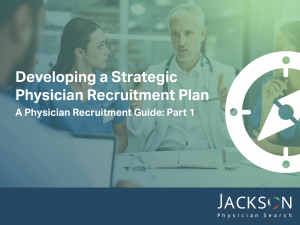 If you want to explore physician career opportunities that can help you achieve financial and personal goals, contact a Jackson Physician Search recruitment professional today. As an in-demand physician, the chances are pretty good that you have plenty of opportunities to consider when and if you are in the market for a new practice opportunity. There is much more to think about when comparing opportunities than just base salary. If you are experiencing feelings of burnout in your current position, then obviously you will want the new job to be structured differently. Instead of jumping from the frying pan into the fire, choose an opportunity that is going to benefit your work-life balance rather than putting yourself into the same situation with a bigger salary. Don’t fall into the trap of worrying about how much “so and so” makes, or what toys they have (The truth is they don’t have time to enjoy them!). 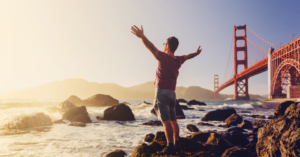 Focus on an opportunity that caters to the reasons you became a physician in the first place and allows you to enjoy the benefits of earning enough and having the balance to enjoy it all. Let’s take a look at how physicians can weigh opportunities without worrying about keeping up with the Dr. Joneses. How much is enough? According to the BLS, wages for physicians are among the highest of all occupations. Since there is such high demand for physicians, you should be able to find a position that has adequate compensation. For you, personal motivations will play a greater role in answering the how much is enough question. When moving to a new area, one of the factors that many people underestimate is the relative cost of living. For example, some states have no state income taxes, others have very high taxes. The cost of living in a more rural area will be less than in a large urban area. For a quick thumbnail of how the cost of living compares between your current location and a new location, check out this cost of living calculator. Another consideration that will impact your ideal salary is any current student loan debt and the plans for repayment. According to the AMA, on average physicians are finishing medical school with close to $170,000 in student loan debt. On the bright side, the National Health Services Corps is offering generous loan forgiveness grants and repayments for physicians entering certain specialties or relocating to underserved and rural regions. Physicians in today’s healthcare environment should not be concerned about how much your annual salary is, but more about what you do with the money you earn, and if it is enough to fulfill your needs. 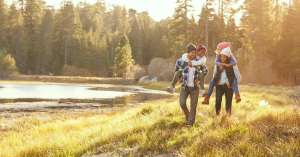 Are you planning to send your kids to private schools, take big annual vacations, or own property for camping getaways? Whatever those personal goals look like, you should have the opportunity to make it happen. The key is to have a sound financial plan and seek out the career opportunities that drive you closer to achieving personal fulfillment. If you are ready to find a position that blends your financial needs with your personal needs, talk to a Jackson Physician Search recruitment expert today. Or, to get a jump start on exploring any of our nationwide opportunities, check out our powerful job search tool here. Each year, a variety of physician salary surveys are published with varying degrees of detail and context. Charts and tables deliver a wealth of information, but you need to read between the lines to understand how each report defines compensation and the larger trends driving it. Here is a brief overview of recently published surveys to get you started. Physician pay increases appear to be slowing, possibly due to the rise in hospital employment, where salary (vs. bonuses) make up most of compensation for physicians. Although primary care specialties are among the lowest paid, they scored the highest average starting pay increases. Emergency, internal, family, and hospital medicine physicians saw average year-to-year pay increases of more than 3%. Primary care physician compensation increased by more than 10% over the past five years. Depending on specialty, the difference in compensation between states can be in the range of $100,000 to $270,000. Family medicine physicians saw a 12% rise in total compensation over the past five years, while their median number of work relative value units (wRVUs) remained flat. This reflects higher signing bonuses, continuing medical education stipends, relocation reimbursement and other cash incentives to attract and retain physicians. Although compensation per relative value unit (work RVU) was higher than average, 2017 was the first-year physician compensation increased by less than 2% in over a decade. The national median showed a decline in physician productivity by a weighted average of -1.63%, possibly related to growing administrative burdens on providers. Doximity is known as the largest medical social network in the country – with over 70% of US doctors as verified members. Their report draws on the responses of more than 65,000 licensed U.S. doctors in 40 medical specialties. Physicians who are verified Doximity users can access an interactive salary map to drill down on compensation data combined with housing cost insights. There was a 4% increase in physician compensation nationally. Less populated MSAs tend to have higher average compensation compared to larger cities. The presence of large medical schools in an area ensures a stronger pipeline of doctors competing for a relatively fixed number of positions, which causes a dampening effect on compensation. Employed physicians comprised 69% of the respondent group versus 26% who are self-employed, with 5% not reporting. Demand for specialists to help address behavioral health issues and the opioid crisis surged, highlighted by a year-to-year increase in psychiatry and physical medicine/rehabilitation. Physicians cited altruistic reasons as the top three most rewarding parts of their job, with “making good money at a job I like” ranking fourth. Your results will instantly show a competitive market-based scenario that breaks out base salary, benefits, hiring incentives and bonuses. The calculator is unique in its design for use with an offer in hand, or if you are considering relocation and want to see how far your current compensation would stretch in a different state or type of community. In addition to the salary calculator, our resource center features relevant physician compensation articles and videos. For any practice opportunity, making an apples-to-apples comparison can be confusing. When negotiating, ask all the questions needed to fully understand the components of your compensation package. 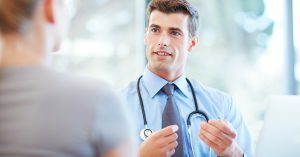 Industry insiders and experienced physician recruiters can be valuable resources. If you would like to speak to a recruiter, use the Contact Us form below. Balancing Compensation and Culture for the Right Fit is a look into compensation trends, quality of practice, quality of life, practice location, and how they contribute to culture and fit. Recent surveys are showing a growing shift toward value-based incentives as a component of discretionary compensation, but production in the form of work RVUs are still the most prevalent salary factor. To review, Relative Value Units (RVUs) are based on a scale originally designed to determine reimbursements from Medicare and/or Medicaid. RVUs represent a calculation of the effort expended by a physician when treating patients as a reflection of the time, skill, training required, and intensity of the service being performed. Using RVUs as a measure of productivity has been widely accepted because the scale reflects the reality that patient interactions are not equal. For example, a physician treating complex or high acuity patients will earn more RVUs than one who treats ten low acuity patients in a day. For up to date RVU values, you can download the 2018 Physician Fee Schedule from the Centers for Medicare and Medicaid Services. 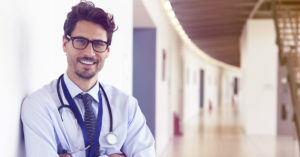 Primary Care Physicians are in demand throughout most of the United States, even though the recent Medical Group Management Association (MGMA) Physician Compensation Report results are not reflective of a high-demand market. The MGMA report along with the American Medical Group Association (AMGA) Compensation Survey show that physicians are receiving annual increases in the range of 1% to 4% depending on the specialty. These modest increases are expected to continue in spite of the projected physician shortfall of between 42,600 and 121,300, as reported by the Association of American Medical Colleges. According to the MGMA survey, the annual median reported RVUs was 4,928 in family medicine, 4,698 in internal medicine, and 4,902 in pediatrics. Both the MGMA compensation survey and AMGA survey reported flat productivity in family and internal medicine, although pediatric RVU reports differed. 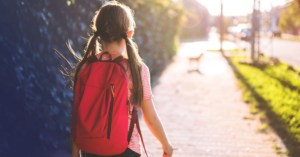 The AMGA survey results show a decline in median pediatric RVUs while the MGMA survey indicated a measurable increase in pediatric productivity. The latest challenge for healthcare industry administrators has been adjusting physician compensation to model the shift toward value-based measurements. In 2009, approximately 41% of medical groups related that at least some of their physician compensation had a value-based component as opposed to 60% in 2016. Overall, value-based pay accounted for less than 7% of a physician’s total compensation. As is often the case, Medicare/Medicaid reimbursements are driving much of the healthcare industry changes. For example, look no further than the 2016 passage of the Medicare Access and CHIP Reauthorization Act (MACRA) which builds upon many of the payment and delivery reforms that originated with the passage of the Affordable Care Act. One of the stated goals of MACRA legislation is that 85% of all Medicare FFS payments will be tied to quality by the end of this year. It may not be too radical to envision future physician compensation models that do not contain an RVU/production component. More likely, as health care reform measures continue to push greater access, drive value over volume, and control reimbursement levels, RVUs may become largely irrelevant. Are you having difficulty with physician compensation? Our team at Jackson Physician Search can help. Contact us today to learn more about our team of industry experts and what we can do for you. While the business of healthcare grows increasingly complex, fortunately, physician compensation models have generally become less complicated over time. Even though there are still many different payment models in use, physician compensation structures are easier to manage and understand then they were in the past. Physician payment models will never be a one-size-fits-all proposition for health system administrators. The following is a brief synopsis of the pros and cons of the most popular physician compensation models. Using a preset level of income for physicians is the easiest model to understand. Typically, the physician is contracted to achieve defined levels of productivity and quality. On the pro side of a salary model, the physician has a sense of security and a guaranteed level of income. The con aspect is that a straight salary model does not encourage innovation, or cost reduction efforts. As a means to encourage physicians to increase income, reduce costs, or achieve other predefined performance metrics, a salary plus bonus payment model may be in use. It achieves the benefit of providing physicians with a guaranteed salary while also having an opportunity to earn a bonus. There aren’t as many cons with this popular method of compensation, although it is critical to determine the appropriate metrics for structuring the bonus. The equal shares model of compensation divides revenue equally among the group of physicians after expenses are covered. This method is most common in smaller medical groups or specialty practices. One of the pros of an equal shares model is that there is a natural aversion to the overutilization of resources. A downside of this payment model is that there is no incentive for creating efficiencies or higher productivity. In some cases, conflict is created when there is a perception that one or more of the group are under producing. More physicians are finding that systems are implementing variations of a pay-for-performance model as a way to tie financial incentives to the achievement of predetermined performance goals. An obvious benefit to this payment model is that achieving critical performance and quality targets are incentivized. Physicians are being encouraged to innovate. On the downside of pay-for-performance models is the complexity and administration of the program. Another payment model with many variations is productivity-based compensation. In this model, physicians receive a percentage of their billings, or they are paid according to a scale that is based on procedures being performed or the type of patient visit. This scale, the resource-based relative value scale (RBRVS) assigns units to each activity a physician performs, called relative value units (RVUs). 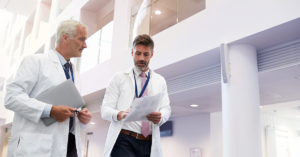 An advantage of productivity-based models is that physicians are rewarded for extra effort, and they are also encouraged to be mindful of excessive overhead costs. A negative result of RVU models is that it may lead to an overly competitive environment between physicians. Another criticism of this model is that while effort is rewarded, there is less consideration of outcomes. While every compensation model currently in use has not been covered here, it is clear that are many different ways that physicians are being paid for their work. Pay will always be a factor in determining your next career move, so it is important to understand how your salary is being determined. Stay tuned to the Jackson Physician Search Blog for a deeper dive into compensation plans that are determined on RVUs. Our team has decades of physician compensation experience. For personalized information about what we can do for you, contact us today. If you are considering a job change or already interviewing, we can help you understand your compensation options. It’s important to know when to talk about compensation and what to ask. Wait until after a successful site visit to start talking about compensation. Ask what the employment model is. That will have a significant impact on taxes and benefits. Then ask what the initial guaranteed salary is. Generally, the initial term is 1-3 years. In some cases, the term is negotiable, but be careful when negotiating. Asking for a shorter term may give the employer the impression that you are a job hopper. After negotiating your guaranteed salary, ask about the formula used for determining compensation. This is usually productivity based. Meaning, you are going to earn to the level that you produce. Many factors come into play when employers calculate compensation. Percentage of collections or using an RVU model are common options. MGMA is the most common survey employers use to determine their compensation package. More saturated markets, like metropolitan areas, may pay less than rural areas. You can use our Salary Calculator to get a good idea of what to expect. There are some questions you should ask if your compensation or bonuses are RVU based. Your RVU threshold is specific to your base salary and should follow MGMA guidelines. Employers can interpret MGMA information in different ways. They may look at nation numbers or regional numbers, so ask about it. You should also ask what your dollar per RVU will be if you exceed the threshold. Now that you have discussed your main compensation, it’s time to inquire about bonuses. Bonuses may or may not be available during the initial term of your contract. They are either productivity or quality based. Like your compensation, the basis of your bonus depends on many factors. Payer mix, overhead expenses, the percentage of self-payed patients, and RVU are examples. Quality bonuses are becoming more common. Quality of care is important to patients, physicians, and administration. Ask how you earn the quality bonus. Is it tied to patient satisfaction, throughput time, or paperwork completion? You should also ask what percentage of employees are earning the quality bonus. This will help you understand if it is attainable. The last question to ask about bonuses is, are they paid out quarterly or once a year? Finally, ask about the level of productivity you’ll need to have to maintain your income. Another way of asking this question is asking about your long-term earning potential. You can also ask what you should expect once you’re established and how long it takes to get established. Added to your compensation and bonuses, you might get offered perks. Don’t expect perks, but if you are considering several options, they are worth exploring. There might be a signing bonus in your offer. If you received an offer and it doesn’t include a signing bonus, you could ask. You should never ask about a signing bonus before receiving an offer. Your offer might include a commencement bonus instead of a signing bonus. You get a commencement bonus on the day you start your employment instead of the day you sign. Retention bonuses are becoming more common. A smaller signing bonus is paired with a retention bonus. They are rewarded for a re-commitment after your initial contract ends. Relocation stipends are also becoming more common. The amount might be negotiable, and the payouts can vary. Requirements for receiving the stipend can be restrictive. Make sure you understand what it takes to receive the stipend before making arrangements. Residents and fellows can get education stipends usually one or two years in advance of their employment. Another useful perk for younger physicians is student loan repayment. This perk can come from the employer or from an outside source. If coming from an outside source, you may have to apply. Check the amount of reimbursement you qualify for, what the term is, and what the forgiveness period is. Depending on your employment model you may or may not be eligible for benefits. Benefits can include malpractice coverage, paid time off (PTO), retirement, health insurance, a car allowance, or housing stipend. If offered malpractice insurance, the carrier and policy details will already be established. You should still take time to understand your coverage, what happens if a suit is filed, and what happens when you leave. PTO may or may not be negotiable and is generally 3-4 weeks. You’ll want to ask if that includes sick days, vacation, and CME days. Retirement benefits come in three main forms, a pension, 401k, or 403b. These depend on the employer, whether they are government, private, or non-profit. A car allowance might be available if you’re traveling to many facilities. Housing stipends are rare. They usually depend on housing limitations or distance from facility requirements. You will either get a letter of intent or a contract. A letter of intent is an outline of the offer. If you are unsure of any part of your contract you should contact an attorney. Take note, not all attorneys are familiar with physician employment agreements. Choose an attorney that is knowledgeable and can commit to a turnaround time that suits your needs. It is also beneficial to meet with an accountant to understand your tax burden and options. Once you sign a contract get a copy for your records. 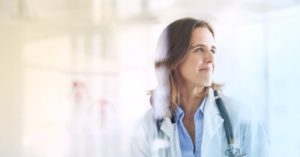 If you want more help deciphering physician compensation, you can connect with Christen Wrensen on LinkedIn. In case you hadn’t heard, the new tax law eliminates the tax deduction for moving expenses and other job costs such as license and regulatory fees, required medical tests, and unreimbursed continuing education. 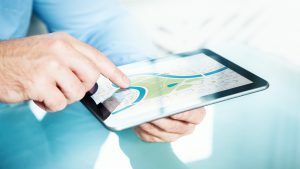 The following relocation tips will help make sure you have a great moving experience under the new tax law. If your next job (or your first job) involves relocation, you need to know these seven relocation tips for optimizing your moving experience. Involve your spouse early. 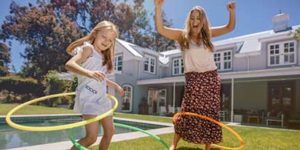 Understand their “must haves,” from the smallest details of the move to big picture issues like their earning power in the new location. Two heads are better than one; they will think of things you have not. Compare the cost of living. With your short list of locations in hand, assess the long-term economic impact of living in those communities. How far will your dollars stretch? Websites such as Sperling’s Best Places to Live can guide you. Research your moving costs. There could be a wide cost variance, based on distance and the volume of items you’ll move. Get a no-obligation quote from a moving company to help you quantify this perk and substantiate the amount you seek in your relocation package. Even if the hospital simply includes a flat moving allowance in your signing bonus, you want to be sure your costs are covered. Get the reimbursement policy in writing. It should include a detailed list of what will or will not be reimbursed. Be sure you understand their definition of “reasonable” expenses – because that’s what counts when the check is cut. Use an approved relocation service. If the hospital has a direct contract with a relocation service, working with them will save you time and help you avoid out-of-pocket expense when cash is tight. Alternatively, the hospital may provide a list of approved movers that you must use to be reimbursed. Keep every receipt. Your itemized credit card bill probably doesn’t provide enough documentation for reimbursement. The original, detailed invoice and receipts proving payment may need to be submitted. Reserve enough cash to pay your taxes. To avoid an expensive surprise at tax time, ask a tax adviser how relocation reimbursement and other incentives will be taxed in 2018. Then, be prepared to pay Uncle Sam what you owe in 2019. Which relocation expenses are typically reimbursed for physicians? Note: Starting in 2018, moving expenses are not tax-deductible. Consult a tax advisor about how reimbursed expenses may be taxed. With this relocation guide, you can put your moving expenses and cost of living differences into context with your overall compensation package. For additional insight, see how your compensation compares across the country by visiting the Jackson Physician Search Salary Calculator and Resource Center.